Clearly structured and ingenious: across from the functional run in a three-dimensional composition, there is an island with a slightly overhanging worktop and matching bar stools underneath. 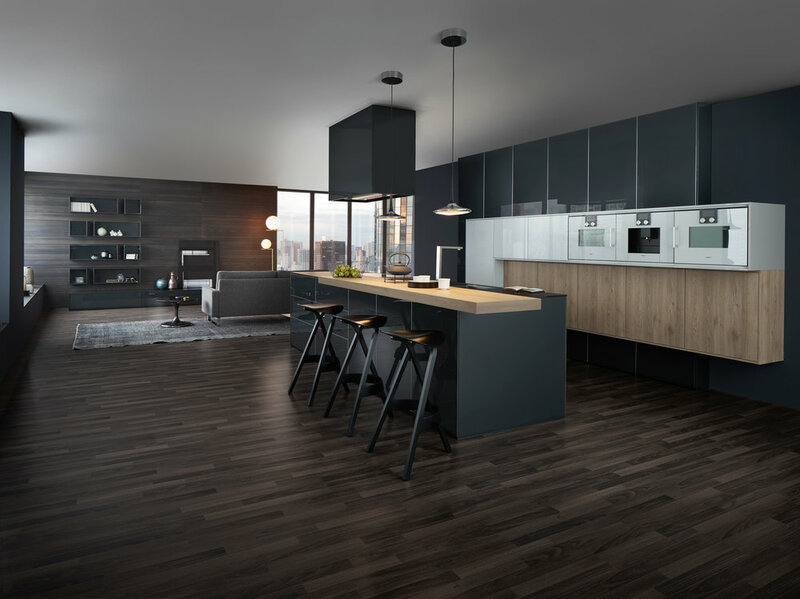 The island front, facing the room, features a high-gloss lacquer surface which discreetly reflects the surroundings – a further subtle detail in the transition from kitchen to living area.A very elegant ensemble in dark shades. 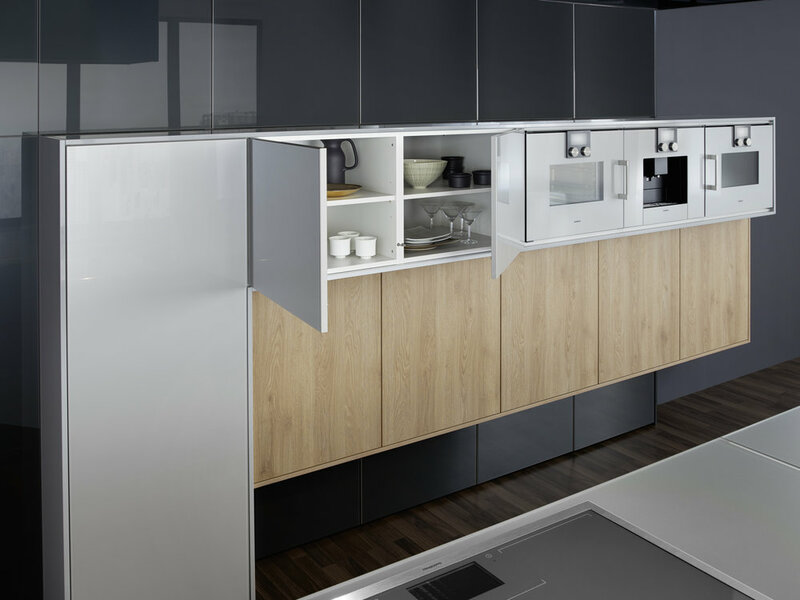 The focus is on the functional run, attached to the wall, with elements of different depths and materials – a different, rhythmic kitchen architecture. The high-grade genuine wood with its characterful structure is a fine touch – and also features on the high-class inside. Copyright © 2019 - All Rights Reserved - Vogue Kitchens Ltd.